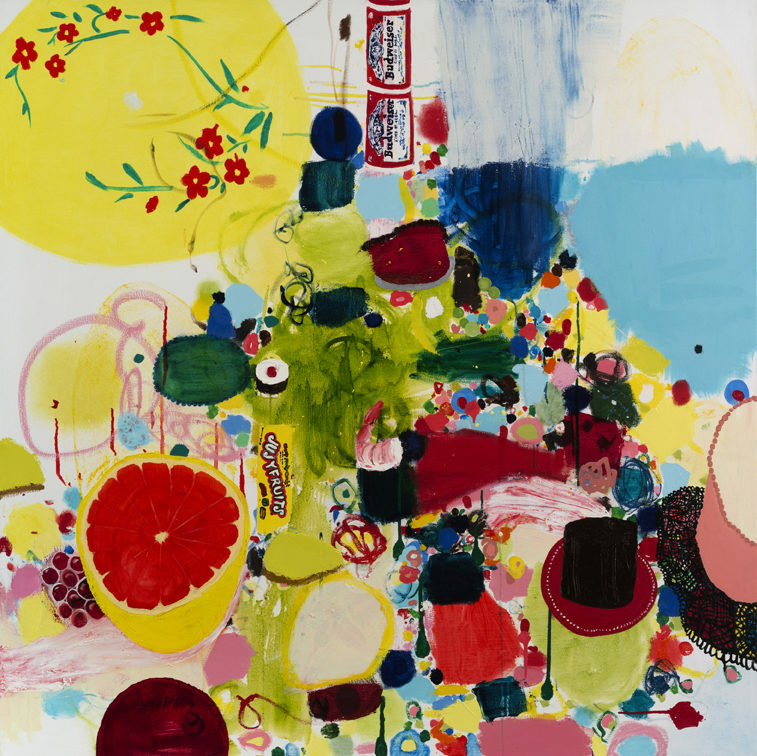 Tracy Miller constructs large, messy still-life paintings that hover between abstraction and landscape. Food has been the main subject matter for almost thirty years, and references to domestic scenes with outlandish feasts of lobsters, beer and cake flirt with ideas of guilt and abundance. She is based in Brooklyn, NY, attended Skowhegan School of Painting and Sculpture and has been spending part of her summers in downeast Maine since 2003.